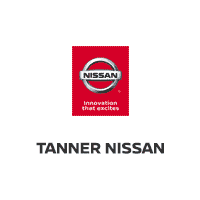 If you’re searching for used car dealerships near Nisswa, then take advantage of the extensive inventory available at Tanner Nissan. We want you to drive home in a used car you feel good about, which is why we thoroughly inspect each and every vehicle for quality. Explore our inventory online before visiting us for a test drive! SE trim. iPod/MP3 Input, CD Player, Fourth Passenger Door, Bed Liner, Aluminum Wheels, 4x4. 4 Star Driver Front Crash Rating. CLICK ME!======EXCELLENT SAFETY FOR YOUR FAMILY: 4 Star Driver Front Crash Rating. 5 Star Driver Side Crash Rating. 4 Star Passenger Front Crash Rating. Child Safety Locks, Electronic Stability Control, 4-Wheel ABS, Tire Pressure Monitoring System, 4-Wheel Disc Brakes Safety equipment includes Child Safety Locks Nissan SE with Radiant Silver exterior and Steel interior features a V6 Cylinder Engine with 261 HP at 5600 RPM*. ======VEHICLE FEATURES: Third Passenger Door, Privacy Glass, Bucket Seats. ======VEHICLE REVIEWS: We found the Frontier quick and nimble. -ConsumerReports.org. ======WHY BUY FROM US: At Tanner Companies we offer a broad selection of new and used Chrysler, RAM, Jeep, Dodge, and Nissan Cars, Trucks, and SUVs to Brainerd, Baxter and the surrounding St Cloud, Alexandria, and Little Falls areas. We take pride in the vehicles we sell and strive to succeed in providing an outstanding customer experience. As a leading auto dealership in our community, we are dedicated to providing our customers with great service. Horsepower calculations based on trim engine configuration. Please confirm the accuracy of the included equipment by calling us prior to purchase. EPA 21 MPG Hwy/15 MPG City! GREAT MILES 61,418! Bluetooth, CD Player, Brake Actuated Limited Slip Differential, iPod/MP3 Input CLICK NOW!======KEY FEATURES INCLUDE: 4x4, Satellite Radio, iPod/MP3 Input, Bluetooth, CD Player, Aluminum Wheels, Brake Actuated Limited Slip Differential. MP3 Player, Privacy Glass, Keyless Entry, Child Safety Locks, Steering Wheel Controls. ======VEHICLE REVIEWS: KBB.com's review says If you're looking for a tough and affordable truck with serious off-road credentials, but you don't have the space for a full-size pickup, the 2014 Nissan Frontier is the perfect solution.. ======WHO WE ARE: At Tanner Companies we offer a broad selection of new and used Chrysler, RAM, Jeep, Dodge, and Nissan Cars, Trucks, and SUVs to Brainerd, Baxter and the surrounding St Cloud, Alexandria, and Little Falls areas. We take pride in the vehicles we sell and strive to succeed in providing an outstanding customer experience. As a leading auto dealership in our community, we are dedicated to providing our customers with great service. Pricing analysis performed on 4/18/2019. Fuel economy calculations based on original manufacturer data for trim engine configuration. Please confirm the accuracy of the included equipment by calling us prior to purchase. GREAT MILES 67,043! FUEL EFFICIENT 21 MPG Hwy/15 MPG City! Bluetooth, CD Player, Brake Actuated Limited Slip Differential, 4x4 AND MORE!======KEY FEATURES INCLUDE: 4x4, Satellite Radio, iPod/MP3 Input, Bluetooth, CD Player, Aluminum Wheels, Brake Actuated Limited Slip Differential MP3 Player, Privacy Glass, Keyless Entry, Child Safety Locks, Steering Wheel Controls. ======VEHICLE REVIEWS: KBB.com explains If you're looking for a tough and affordable truck with serious off-road credentials, but you don't have the space for a full-size pickup, the 2014 Nissan Frontier is the perfect solution.. ======VISIT US TODAY: At Tanner Companies we offer a broad selection of new and used Chrysler, RAM, Jeep, Dodge, and Nissan Cars, Trucks, and SUVs to Brainerd, Baxter and the surrounding St Cloud, Alexandria, and Little Falls areas. We take pride in the vehicles we sell and strive to succeed in providing an outstanding customer experience. As a leading auto dealership in our community, we are dedicated to providing our customers with great service. Fuel economy calculations based on original manufacturer data for trim engine configuration. Please confirm the accuracy of the included equipment by calling us prior to purchase. Bluetooth, iPod/MP3 Input, CD Player, Smart Device Integration, Keyless Start, Turbo, Tow Hitch, 4x4, Satellite Radio, Diesel SEE MORE!======KEY FEATURES INCLUDE: 4x4, Turbocharged, Diesel, Satellite Radio, iPod/MP3 Input, Bluetooth, CD Player, Trailer Hitch, Keyless Start, Smart Device Integration MP3 Player, Privacy Glass, Keyless Entry, Steering Wheel Controls, Child Safety Locks. ======EXPERTS ARE SAYING: Edmunds.com's review says Indeed, the Titan XD provides an abundance of interior room. There's easily enough space for a 6-foot-2-inch adult to comfortably sit behind his own adjusted driver seat. Front or back, the leather seats are inviting and offer long-distance support. . ======OUR OFFERINGS: At Tanner Companies we offer a broad selection of new and used Chrysler, RAM, Jeep, Dodge, and Nissan Cars, Trucks, and SUVs to Brainerd, Baxter and the surrounding St Cloud, Alexandria, and Little Falls areas. We take pride in the vehicles we sell and strive to succeed in providing an outstanding customer experience. As a leading auto dealership in our community, we are dedicated to providing our customers with great service. Please confirm the accuracy of the included equipment by calling us prior to purchase. PRICED TO MOVE $800 below Kelley Blue Book! Aluminum Wheels, 4x4, iPod/MP3 Input, 5.7L V8 HEMI MULTI-DISPLACEMENT ENGIN... CLICK ME!======EXCELLENT SAFETY FOR YOUR FAMILY: 5 Star Driver Front Crash Rating. 5 Star Passenger Front Crash Rating. 4 Star Rollover Rating. 4-Wheel ABS, 4-Wheel Disc Brakes Safety equipment includes 4-Wheel ABS ======A GREAT TIME TO BUY: This Ram 1500 is priced $800 below Kelley Blue Book. ======VEHICLE FEATURES: Keyless Entry, Heated Mirrors, Vehicle Anti-Theft System. ======OPTION PACKAGES: SOUND & SECURE VALUE GROUP security alarm, AM/FM stereo w/6-disc CD/MP3 changer, (7) Infinity speakers, steering wheel mounted radio controls, 5-SPEED AUTOMATIC TRANSMISSION, 5.7L V8 HEMI MULTI-DISPLACEMENT ENGINE, QUAD CAB BIG HORN VALUE GROUP Sirius satellite radio, 3.92 axle ratio, fog lamps, P275/60R20 all-season BSW tires, 20 steel spare, 20 x 9 aluminum wheels, sliding rear window, Big Horn badge, bright/bright grille. ======EXPERTS ARE SAYING: Edmunds.com explains Dodge Ram 1500 can handle the diverse duties of comfortable daily driver and capable workhorse with equal ease.. ======OUR OFFERINGS: At Tanner Companies we offer a broad selection of new and used Chrysler, RAM, Jeep, Dodge, and Nissan Cars, Trucks, and SUVs to Brainerd, Baxter and the surrounding St Cloud, Alexandria, and Little Falls areas. We take pride in the vehicles we sell and strive to succeed in providing an outstanding customer experience. As a leading auto dealership in our community, we are dedicated to providing our customers with great service. Pricing analysis performed on 4/22/2019. Please confirm the accuracy of the included equipment by calling us prior to purchase. PRICED TO MOVE $1,900 below Kelley Blue Book! SLT trim. ONLY 67,426 Miles! 4x4, iPod/MP3 Input, CD Player, Alloy Wheels CLICK NOW!======EXCELLENT SAFETY FOR YOUR FAMILY: 5 Star Driver Front Crash Rating. 5 Star Passenger Front Crash Rating. 4 Star Rollover Rating. 4-Wheel ABS, 4-Wheel Disc Brakes Safety equipment includes 4-Wheel ABS ======A GREAT TIME TO BUY: This Ram 1500 is priced $1,900 below Kelley Blue Book. ======VEHICLE FEATURES: Keyless Entry, Heated Mirrors, Vehicle Anti-Theft System. ======OPTION PACKAGES: 5-SPEED AUTOMATIC TRANSMISSION, 5.7L V8 HEMI MULTI-DISPLACEMENT ENGINE, QUAD CAB BIG HORN VALUE GROUP Sirius satellite radio, 3.92 axle ratio, fog lamps, P275/60R20 all-season BSW tires, 20 steel spare, 20 x 9 aluminum wheels, sliding rear window, Big Horn badge, bright/bright grille. ======EXPERTS REPORT: Edmunds.com explains Dodge Ram 1500 can handle the diverse duties of comfortable daily driver and capable workhorse with equal ease.. ======VISIT US TODAY: At Tanner Companies we offer a broad selection of new and used Chrysler, RAM, Jeep, Dodge, and Nissan Cars, Trucks, and SUVs to Brainerd, Baxter and the surrounding St Cloud, Alexandria, and Little Falls areas. We take pride in the vehicles we sell and strive to succeed in providing an outstanding customer experience. As a leading auto dealership in our community, we are dedicated to providing our customers with great service. Pricing analysis performed on 4/19/2019. Please confirm the accuracy of the included equipment by calling us prior to purchase. Heated Leather Seats, iPod/MP3 Input, Satellite Radio, Onboard Communications System, Edmunds Consumers' Top Rated Large Truck CLICK NOW!======KEY FEATURES INCLUDE: Leather Seats, 4x4, Heated Driver Seat, Running Boards, Flex Fuel, Premium Sound System, Satellite Radio, iPod/MP3 Input, Multi-CD Changer, Onboard Communications System, Trailer Hitch, Aluminum Wheels, Remote Engine Start, Dual Zone A/C, Heated Seats. Chevrolet LTZ with Black exterior and Ebony interior features a 8 Cylinder Engine with 310 HP at 5200 RPM*. MP3 Player, Rear Seat Audio Controls, Keyless Entry, Privacy Glass, Steering Wheel Controls. ======EXPERTS ARE SAYING: Edmunds.com's review says Thanks to its practical convertible midgate configuration, the Chevrolet Avalanche remains one of the most desirable crew-cab pickups for carrying a combination of passengers and cargo.. Consumer Guide Recommended Pickup. 5 Star Driver Front Crash Rating. 5 Star Passenger Front Crash Rating. ======WHO WE ARE: At Tanner Companies we offer a broad selection of new and used Chrysler, RAM, Jeep, Dodge, and Nissan Cars, Trucks, and SUVs to Brainerd, Baxter and the surrounding St Cloud, Alexandria, and Little Falls areas. We take pride in the vehicles we sell and strive to succeed in providing an outstanding customer experience. As a leading auto dealership in our community, we are dedicated to providing our customers with great service. Horsepower calculations based on trim engine configuration. Please confirm the accuracy of the included equipment by calling us prior to purchase. Excellent Condition. Heated Leather Seats, Satellite Radio, Premium Sound System, Bluetooth, Kelley Blue Book Best Redesigned Vehicle SEE MORE!======FORD F-150: UNMATCHED QUALITY: 5 Star Driver Front Crash Rating. 5 Star Driver Side Crash Rating. 5 Star Passenger Front Crash Rating. ======KEY FEATURES ON THIS F-150 INCLUDE: Leather Seats, 4x4, Heated Driver Seat, Back-Up Camera, Running Boards, Flex Fuel, Premium Sound System, Satellite Radio, iPod/MP3 Input, Bluetooth, Trailer Hitch, Aluminum Wheels, Remote Engine Start, Dual Zone A/C, Fourth Passenger Door MP3 Player, Privacy Glass, Keyless Entry, Child Safety Locks. Ford Lariat with Oxford White with Pueblo Gold Metallic exterior and Tan interior features a 8 Cylinder Engine with 310 HP at 5000 RPM*. Non-Smoker vehicle, Trailer Hitch and Wire Harness, Soft Toneau Cover, Tube Steps or Running Boards, Hands Free System. ======EXPERTS RAVE ABOUT THIS FORD F-150: F-150 has won the Motor Trend Truck of the YearÂ® award more times than any other truck. Car and Driver Editors Choice. ======BUY FROM AN AWARD WINNING DEALER: At Tanner Companies we offer a broad selection of new and used Chrysler, RAM, Jeep, Dodge, and Nissan Cars, Trucks, and SUVs to Brainerd, Baxter and the surrounding St Cloud, Alexandria, and Little Falls areas. We take pride in the vehicles we sell and strive to succeed in providing an outstanding customer experience. As a leading auto dealership in our community, we are dedicated to providing our customers with great service. Pricing analysis performed on 3/13/2019. Horsepower calculations based on trim engine configuration. Please confirm the accuracy of the included equipment by calling us prior to purchase. SLE trim. CD Player, Onboard Communications System, Satellite Radio, Chrome Wheels, 4x4. 5 Star Driver Front Crash Rating. SEE MORE!======EXCELLENT SAFETY FOR YOUR FAMILY: 5 Star Driver Front Crash Rating. 5 Star Driver Side Crash Rating. 5 Star Passenger Front Crash Rating. Electronic Stability Control, 4-Wheel ABS, Tire Pressure Monitoring System, Front Disc/Rear Drum Brakes Safety equipment includes Electronic Stability Control ======VEHICLE FEATURES: MP3 Player, Keyless Entry, Privacy Glass, Heated Mirrors ======EXPERTS REPORT: Edmunds.com's review says If you want power, the Sierra's got it.. ======MORE ABOUT US: At Tanner Companies we offer a broad selection of new and used Chrysler, RAM, Jeep, Dodge, and Nissan Cars, Trucks, and SUVs to Brainerd, Baxter and the surrounding St Cloud, Alexandria, and Little Falls areas. We take pride in the vehicles we sell and strive to succeed in providing an outstanding customer experience. As a leading auto dealership in our community, we are dedicated to providing our customers with great service. Pricing analysis performed on 4/23/2019. Please confirm the accuracy of the included equipment by calling us prior to purchase. Excellent Condition. PRICE DROP FROM $17,982. Navigation, Sunroof, Heated Leather Seats, Kelley Blue Book Best Redesigned Vehicle CLICK NOW!======THIS FORD F-150 COMES EQUIPPED WITH PREMIUM FEATURES: NAVIGATION SYSTEM W/IN-DASH SCREEN, PWR MOONROOF W/1-TOUCH OPEN & CLOSE over head console w/single storage bin, 3.55 AXLE RATIO W/LIMITED SLIP DIFFERENTIAL, PLATINUM PKG body-color front & rear bumpers, body-color front & rear wheel lip moldings, satin finish grille surround w/chrome mesh insert, chrome exhaust tip, high gloss black B-pillar applique, bright bodyside accent moldings, satin finish tailgate applique, body-color door handle bezels w/chrome strap, pwr heated exterior mirrors w/pwr folding, turn signals, auto-dimming drivers mirror, memory & chrome skull caps, pwr deployable running boards, rain sensing windshield wiper system, front flow-through console w/leather lid, leather shift knob, aluminum applique on center panel & console, bright inserts in scuff plates, unique instrument cluster face, leather heated & cooled 10-way pwr front captains chairs w/driver memory, pwr adjustable pedals w/memory, 6-disc in-dash CD changer w/MP3 ======THE RIGHT FORD F-150 AT THE RIGHT PRICE: Was $17,982. ======EXPERTS RAVE ABOUT THIS F-150: F-150 has won the Motor Trend Truck of the YearÂ® award more times than any other truck. ======OUR OFFERINGS: At Tanner Companies we offer a broad selection of new and used Chrysler, RAM, Jeep, Dodge, and Nissan Cars, Trucks, and SUVs to Brainerd, Baxter and the surrounding St Cloud, Alexandria, and Little Falls areas. We take pride in the vehicles we sell and strive to succeed in providing an outstanding customer experience. As a leading auto dealership in our community, we are dedicated to providing our customers with great service. Pricing analysis performed on 3/15/2019. Horsepower calculations based on trim engine configuration. Please confirm the accuracy of the included equipment by calling us prior to purchase. Excellent Condition. JUST REPRICED FROM $17,981, $1,500 below Kelley Blue Book! Kelley Blue Book Best Redesigned Vehicle, iPod/MP3 Input SEE MORE!======DRIVE THIS FORD F-150 WITH CONFIDENCE: 5 Star Driver Front Crash Rating. 5 Star Driver Side Crash Rating. ======NOW IS THE TIME TO OWN THIS FORD F-150: Value you deserve. Reduced from $17,981. This used Ford F-150 is priced $1,500 below Kelley Blue Book ======KEY FEATURES ON THIS F-150 INCLUDE: 4x4, Flex Fuel, Satellite Radio, iPod/MP3 Input, CD Player, Trailer Hitch, Aluminum Wheels, Fourth Passenger Door MP3 Player, Keyless Entry, Privacy Glass, Child Safety Locks. Ford FX4 with Razor Red Dual-Coat Metallic exterior and Black interior features a 8 Cylinder Engine with 310 HP at 5000 RPM*. Non-Smoker vehicle, Drop in Bed Liner, Tube Steps or Running Boards, Hitch and Wire harness. ======EXPERTS RAVE ABOUT THIS F-150: The best selling trucks in North America for over 30 years. Car and Driver Editors Choice. ======BUY FROM AN AWARD WINNING DEALER: At Tanner Companies we offer a broad selection of new and used Chrysler, RAM, Jeep, Dodge, and Nissan Cars, Trucks, and SUVs to Brainerd, Baxter and the surrounding St Cloud, Alexandria, and Little Falls areas. We take pride in the vehicles we sell and strive to succeed in providing an outstanding customer experience. As a leading auto dealership in our community, we are dedicated to providing our customers with great service. Pricing analysis performed on 3/12/2019. Horsepower calculations based on trim engine configuration. Please confirm the accuracy of the included equipment by calling us prior to purchase. Excellent Condition. 4x4, Alloy Wheels, Satellite Radio, CD Player, iPod/MP3 Input, 5-SPEED AUTOMATIC TRANSMISSION, Tow Hitch CLICK ME!======EXCELLENT SAFETY FOR YOUR FAMILY: Child Safety Locks, Electronic Stability Control, Brake Assist, 4-Wheel ABS, Tire Pressure Monitoring System, 4-Wheel Disc Brakes Safety equipment includes Child Safety Locks Ram SLT with Bright Silver Metallic exterior and Dark Slate/Medium Graystone interior features a 8 Cylinder Engine with 390 HP at 5600 RPM*. ======VEHICLE FEATURES: MP3 Player, Keyless Entry, Privacy Glass, Heated Mirrors. ======OPTION PACKAGES: 5.7L V8 HEMI MULTI-DISPLACEMENT VVT ENGINE electronically controlled throttle, HD engine cooling, CLASS IV RECEIVER HITCH, PROTECTION GROUP front tow hooks, front suspension skid plate, transfer case skid plate, 5-SPEED AUTOMATIC TRANSMISSION (STD). Non-Smoker vehicle, Trailer Hitch and Wire Harness, Soft Toneau Cover, Tube Steps or Running Boards, Hands Free System. ======VEHICLE REVIEWS: Edmunds.com explains The 2011 Dodge Ram 1500 is a top pick in the full-size pickup truck segment thanks to its winning combination of strong performance, smooth ride and a classy cabin.. ======WHY BUY FROM US: At Tanner Companies we offer a broad selection of new and used Chrysler, RAM, Jeep, Dodge, and Nissan Cars, Trucks, and SUVs to Brainerd, Baxter and the surrounding St Cloud, Alexandria, and Little Falls areas. We take pride in the vehicles we sell and strive to succeed in providing an outstanding customer experience. As a leading auto dealership in our community, we are dedicated to providing our customers with great service. Pricing analysis performed on 4/4/2019. Horsepower calculations based on trim engine configuration. Please confirm the accuracy of the included equipment by calling us prior to purchase. Superb Condition. NAV, Heated/Cooled Leather Seats, Back-Up Camera, Running Boards, Premium Sound System, Alloy Wheels, Tow Hitch AND MORE!======KEY FEATURES ON THIS FORD F-150 INCLUDE: Leather Seats, Navigation, 4x4, Heated Driver Seat, Heated Rear Seat, Cooled Driver Seat, Back-Up Camera, Running Boards, Premium Sound System, Satellite Radio, iPod/MP3 Input, Multi-CD Changer, Onboard Communications System, Trailer Hitch, Aluminum Wheels MP3 Player, Third Passenger Door, Privacy Glass, Keyless Entry, Steering Wheel Controls. Ford Platinum with White Platinum Metallic Tri-Coat exterior and Sienna interior features a V6 Cylinder Engine with 360 HP at 5500 RPM*. Non-Smoker vehicle, Soft Toneau Cover, Remote Start, Tube Steps or Running Boards, Weather Tech Floor Mats, Hitch and Wire harness, Heated Seat Driver, Heated Seat Passanger. ======EXPERTS RAVE ABOUT THIS F-150: F-150 has won the Motor Trend Truck of the YearÂ® award more times than any other truck. ======BUY FROM AN AWARD WINNING DEALER: At Tanner Companies we offer a broad selection of new and used Chrysler, RAM, Jeep, Dodge, and Nissan Cars, Trucks, and SUVs to Brainerd, Baxter and the surrounding St Cloud, Alexandria, and Little Falls areas. We take pride in the vehicles we sell and strive to succeed in providing an outstanding customer experience. As a leading auto dealership in our community, we are dedicated to providing our customers with great service. Pricing analysis performed on 3/15/2019. Horsepower calculations based on trim engine configuration. Please confirm the accuracy of the included equipment by calling us prior to purchase. $1,700 below Kelley Blue Book! CD Player, iPod/MP3 Input, Fourth Passenger Door, Onboard Communications System, Aluminum Wheels CLICK ME!======THE RIGHT FORD F-150 AT THE RIGHT PRICE: An Exceptional Price for an Exceptional Vehicle. This used Ford F-150 is priced $1,700 below Kelley Blue Book ======KEY FEATURES ON THIS FORD F-150 INCLUDE: 4x4, Satellite Radio, iPod/MP3 Input, CD Player, Onboard Communications System, Trailer Hitch, Aluminum Wheels, Fourth Passenger Door MP3 Player, Keyless Entry, Privacy Glass, Steering Wheel Controls. Ford FX4 with Tuxedo Black Metallic exterior and Black interior features a V6 Cylinder Engine with 360 HP at 5500 RPM*. Upgraded Rims/tires or both, HEATED LEATHER, BUCKET SEATS WITH CENTER SHIFT, HARD TO FIND IN THIS PRICE RANGE. ======EXPERTS RAVE ABOUT THIS F-150: F-150 has won the Motor Trend Truck of the YearÂ® award more times than any other truck. ======BUY FROM AN AWARD WINNING DEALER: At Tanner Companies we offer a broad selection of new and used Chrysler, RAM, Jeep, Dodge, and Nissan Cars, Trucks, and SUVs to Brainerd, Baxter and the surrounding St Cloud, Alexandria, and Little Falls areas. We take pride in the vehicles we sell and strive to succeed in providing an outstanding customer experience. As a leading auto dealership in our community, we are dedicated to providing our customers with great service. Pricing analysis performed on 4/12/2019. Horsepower calculations based on trim engine configuration. Please confirm the accuracy of the included equipment by calling us prior to purchase. FUEL EFFICIENT 21 MPG Hwy/15 MPG City! Satellite Radio, CD Player, Onboard Communications System, Alloy Wheels, 4x4, Flex Fuel SEE MORE!======: AutoCheck One Owner ======KEY FEATURES ON THIS SILVERADO INCLUDE: 4x4, Flex Fuel, Satellite Radio, CD Player, Onboard Communications System, Chrome Wheels MP3 Player, Privacy Glass, Keyless Entry, Electronic Stability Control, Alarm. Chevrolet LT with Mocha Steel Metallic exterior and Ebony interior features a 8 Cylinder Engine with 302 HP at 5600 RPM*. ======ALL THE POWER, PULLING AND PAYLOAD YOU NEED: SILVERADO: On the road, the Silverado was exceptionally pleasant to drive. The ride was very smooth for a truck and bumps and pavement imperfections were soaked up nicely.- Motor Trend. Powerful and comfortable. the Chevrolet Silverado is a prime choice for a full-size pickup. - Edmunds.com Great Gas Mileage: 21 MPG Hwy. ======WHY BUY FROM US: At Tanner Companies we offer a broad selection of new and used Chrysler, RAM, Jeep, Dodge, and Nissan Cars, Trucks, and SUVs to Brainerd, Baxter and the surrounding St Cloud, Alexandria, and Little Falls areas. We take pride in the vehicles we sell and strive to succeed in providing an outstanding customer experience. As a leading auto dealership in our community, we are dedicated to providing our customers with great service. Pricing analysis performed on 4/18/2019. Horsepower calculations based on trim engine configuration. Fuel economy calculations based on original manufacturer data for trim engine configuration. Please confirm the accuracy of the included equipment by calling us prior to purchase. Excellent Condition. REDUCED FROM $24,482! Heated Leather Seats, Satellite Radio, Premium Sound System, Onboard Communications System CLICK ME!======EXCELLENT SAFETY FOR YOUR FAMILY: Child Safety Locks, Electronic Stability Control, 4-Wheel ABS, Tire Pressure Monitoring System, Front Disc/Rear Drum Brakes Safety equipment includes Child Safety Locks GMC SLT with Heritage Blue Metallic exterior and Ebony interior features a 8 Cylinder Engine with 315 HP at 5200 RPM*. ======AFFORDABILITY: Reduced from $24,482. ======VEHICLE FEATURES: MP3 Player, Keyless Entry, Privacy Glass, Steering Wheel Controls Non-Smoker vehicle, Trailer Hitch and Wire Harness, Tube Steps or Running Boards. ======EXPERTS REPORT: Excellent engines, tasteful styling, and spacious interiors. -CarAndDriver.com. ======BUY FROM AN AWARD WINNING DEALER: At Tanner Companies we offer a broad selection of new and used Chrysler, RAM, Jeep, Dodge, and Nissan Cars, Trucks, and SUVs to Brainerd, Baxter and the surrounding St Cloud, Alexandria, and Little Falls areas. We take pride in the vehicles we sell and strive to succeed in providing an outstanding customer experience. As a leading auto dealership in our community, we are dedicated to providing our customers with great service. Pricing analysis performed on 3/15/2019. Horsepower calculations based on trim engine configuration. Please confirm the accuracy of the included equipment by calling us prior to purchase. Superb Condition. JUST REPRICED FROM $25,483, FUEL EFFICIENT 21 MPG Hwy/15 MPG City! 4x4, Alloy Wheels, Tow Hitch, Bluetooth SEE MORE!======: Safety equipment includes Child Safety Locks ======A GREAT VALUE: Reduced from $25,483. ======VEHICLE FEATURES: MP3 Player, Privacy Glass, Keyless Entry ======OPTION PACKAGES: QUICK ORDER PACKAGE 26Z BIG HORN Engine: 5.7L V8 HEMI MDS VVT, Transmission: 8-Speed Automatic 8HP70, Steering Wheel Mounted Audio Controls, Full Size Temporary Use Spare Tire, Big Horn Regional Package, Big Horn Badge, Bright/Bright Billets Grille, Leather Wrapped Steering Wheel, Electric Shift On Demand Transfer Case, Locking Lug Nuts, GVWR: 6,900 lbs, ENGINE: 5.7L V8 HEMI MDS VVT Electronically Controlled Throttle, Hemi Badge, Next Generation Engine Controller, GVWR: 6,900 lbs, Heavy Duty Engine Cooling, Heavy Duty Transmission Oil Cooler, LUXURY GROUP Overhead Console w/Garage Door Opener, Steering Wheel Mounted Audio Controls, Sun Visors w/Illuminated Vanity Mirrors, Electroluminescent Instrument Cluster, Exterior Mirrors Courtesy Lamps, Glove Box Lamp, Underhood Lamp, Auto Dim Exterior Mirrors, Ash Tray Lamp, Exterior Mirrors w/Supplemental Signals, Rear Dome w/On/Off Switch Lamp, Leather Wrapped Steering Wheel, Rear View Auto Dim Mirror w/Microphone, Universal Garage Door Opener, Power Heated Fold-Away Mirrors, Power Folding Mirrors, TRANSMISSION: 8-SPEED AUTOMATIC 8HP70, REMOTE START & SECURITY GROUP Remote Start System, Security Alarm, PARKVIEW REAR BACK-UP CAMERA. Non-Smoker vehicle, Originally bought here ======VEHICLE REVIEWS: Great Gas Mileage: 21 MPG Hwy. Pricing analysis performed on 3/15/2019. Horsepower calculations based on trim engine configuration. Fuel economy calculations based on original manufacturer data for trim engine configuration. Please confirm the accuracy of the included equipment by calling us prior to purchase. GREAT MILES 71,295! 4x4, Hitch, REMOTE START SYSTEM, CD Player, iPod/MP3 Input, Satellite Radio, BIG HORN REGIONAL PKG CLICK NOW!======EXCELLENT SAFETY FOR YOUR FAMILY: 4 Star Rollover Rating. Child Safety Locks, 4-Wheel ABS, 4-Wheel Disc Brakes, Tire Pressure Monitoring System Safety equipment includes Child Safety Locks ======VEHICLE FEATURES: MP3 Player, Keyless Entry ======OPTION PACKAGES: BIG HORN REGIONAL PKG 17 x 8.0 polished forged aluminum wheels, anti-spin rear axle, fold-away auto-dimming pwr trailer tow mirrors w/integrated turn signals & courtesy lamps, bright/bright grille, fog lamps, glove box lamp, underhood lamp, rear dome lamp w/on/off switch, quad halogen headlamps, leather-wrapped steering wheel w/audio controls, overhead console w/universal garage door opener, auto-dimming rearview mirror, illuminated visor vanity mirrors, trailer brake control, Big Horn badge, UCONNECT HANDS-FREE COMMUNICATION auto dimming rearview mirror, iPod control, REMOTE START SYSTEM, BLACK HEATED PWR TRAILER TOW MIRRORS integrated turn signals, courtesy lamps, PROTECTION GROUP tow hooks, transfer case skid plate shield, 5.7L SMPI V8 HEMI ENGINE W/VARIABLE VALVE TIMING (STD), 5-SPEED AUTOMATIC TRANSMISSION W/OD (STD). ======EXPERTS REPORT: Edmunds.com explains Ram 2500 is a top pick for a heavy-duty truck that features a top-notch interior and improved ride quality on top of its already impressive towing and hauling capabilities.. ======MORE ABOUT US: At Tanner Companies we offer a broad selection of new and used Chrysler, RAM, Jeep, Dodge, and Nissan Cars, Trucks, and SUVs to Brainerd, Baxter and the surrounding St Cloud, Alexandria Pricing analysis performed on 4/19/2019. Please confirm the accuracy of the included equipment by calling us prior to purchase. Superb Condition. PRICE DROP FROM $27,982, FUEL EFFICIENT 21 MPG Hwy/15 MPG City! Moonroof, Heated Leather Seats, Nav System CLICK NOW!======VEHICLE FEATURES: Third Passenger Door, Keyless Entry, Privacy Glass, Steering Wheel Controls ======OPTION PACKAGES: LUXURY EQUIPMENT GROUP rearview camera, reverse sensing system, remote start, trailer brake controller, heated/cooled 10-way pwr leather front bucket seats w/driver seat memory, dual-zone electronic auto temp control, black leather-wrapped steering wheel, HID headlamps, pwr adjustable pedals w/memory, pwr-sliding rear window w/defroster, pwr-folding heated exterior mirrors w/integrated turn signals & painted skull caps, driver side auto-dimming exterior mirror, media hub w/(2) USB ports, audio/video input jacks, SD card reader, SYNC services w/GPS based turn-by-turn driving directions & traffic reports & info services, MyFord Touch w/5-way steering wheel control switch, 8 LCD touch screen in center stack, universal garage door opener, Sony AM/FM stereo w/CD, FX APPEARANCE PKG black cap tubular step bars, flow-through console w/floor shifter, painted A-gloss body-color wheel lip molding, unique fender & tailgate badging, unique finish on instrument panel, center-stack bezel, interior door trim & console top, hood/body-side decal, chrome single-tip exhaust, unique leather-trimmed front bucket seats w/Alcantara inserts, manual driver/passenger lumbar adjustment, 6-way pwr driver seat, center console, unique steering wheel, unique 20 6-spoke black painted aluminum wheels, P275/55R20 all-terrain OWL tires, 3.5L V6 ECOBOOST ENGINE, PWR MOONROOF, VOICE-ACTIVATED NAVIGATION SYSTEM in-dash screen, SD card for map/POI storage Pricing analysis performed on 2/27/2019. Horsepower calculations based on trim engine configuration. Fuel economy calculations based on original manufacturer data for trim engine configuration. Please confirm the accuracy of the included equipment by calling us prior to purchase. And because we want you to get a great used car deal, we offer plenty of used vehicle exclusive offers as well as vehicles under $10k to further sweeten the deal. Check out our inventory of used Nissan trucks to find the right one for you, and with the extra savings, you can even upgrade to get the features you were hoping for. Learn more about our models and take your favorite for a test drive today! Ready to drive home to Aitkin in your next Nissan Truck? We want you to drive home in a used truck that offer all you want and more as well as one you can feel good about, which is why we thoroughly inspect each and every vehicle for quality. Our team will walk you through every step of the used car-buying process – we’re even there for you after you leave the lot with the many services we offer and more! Feel free to contact us in the meantime with any questions about our inventory of used Nissan trucks and more.